Founded in 2002 to provide High Speed Wireless Internet Access for hotels, restaurants, marinas and other hospitality venues, the Minnesota-based Wi-Fi Guys installed its first WAN aggregator in 2003 at the Salish Lodge in Snoqualmie, WA. As guest demands for more bandwidth and faster Internet connections increased, Wi-Fi Guys began incorporating a WAN aggregation appliance and dual internet/ISP connections as part of their base service offering. Having successfully deployed hundreds of WAN aggregators in hotels, it soon became apparent that guest demands for fast, reliable internet access became the number one amenity in hotels. The company subsequently determined that these hotel guests were predominantly business travelers who had the same need for reliable internet connectivity in their own offices as well. Wi-Fi Guys expanded its service offerings to included a Managed WAN Aggregation service for any business who processed credit card transactions via the internet, utilized internet phone services, and more recently Cloud-hosted applications and other internet dependent business solutions. As part of its core business, Wi-Fi Guys now offers managed WAN services: bandwidth aggregation, load balancing, and ISP failover services. The EndOutages service platform is perfect for any business with a single Internet connection, or businesses that require a low-cost back up solution for their MPLS and data networks. Convey Services chooses End Outages to deploy their managed IRG load balancing and failover servic. 0	jplist-folder-All-Posts-64396 Case-Study-Case-Study	jplist-topic-Failover jplist-topic-Load-Balancing jplist-topic-managed-services jplist-topic-SD-WAN	0	11/16/2016 15:43:30	Convey Services chooses End Outages to deploy their managed IRG load balancing and failover servic. 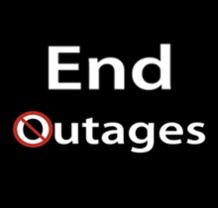 End Outages deployed failover for a multiple location florist MPLS network to low cost cable coax internet circuits. 2	jplist-folder-All-Posts-64396 Case-Study-Case-Study	jplist-topic-Failover jplist-topic-Load-Balancing jplist-topic-managed-services jplist-topic-SD-WAN	0	11/11/2016 19:07:54	End Outages deployed failover for a multiple location florist MPLS network to low cost cable coax internet circuits. End Outages Deployed IRG's at 3 locations using IPSec Tunneling and firewall features to meet customer network needs. 4	jplist-folder-All-Posts-64396 Case-Study-Case-Study	jplist-topic-Failover jplist-topic-Load-Balancing jplist-topic-managed-services jplist-topic-SD-WAN jplist-topic-Wi-fi	0	11/11/2016 18:45:59	End Outages Deployed IRG's at 3 locations using IPSec Tunneling and firewall features to meet customer network needs. 5	jplist-folder-All-Posts-64396 Case-Study-Case-Study	jplist-topic-Failover jplist-topic-Load-Balancing jplist-topic-managed-services jplist-topic-SD-WAN jplist-topic-Wi-fi	0	11/11/2016 18:42:52	End Outages case study of a recent deployment of internet failover and load balancing with a Fiber circuit and coax cable circuit at a Chrysler car dealership. 8	jplist-folder-All-Posts-64396 Brochure-Brochure	jplist-topic-Failover jplist-topic-Load-Balancing jplist-topic-managed-services jplist-topic-SD-WAN jplist-topic-Wi-fi	0	11/10/2016 14:44:17	The IRG WAN Aggregator is a comprehensive plug-n-play solution delivering the high-quality Internet experience! The IRG provides a fast, reliable, aggregate connection by load balancing multiple Internet connections for a fraction of the cost of traditional systems.